I have a million and one reviews and posts that I’m supposed to be writing right now, but I’m sick as a dog who isn’t feeling well. I never understood the whole “sick as a dog” saying, because my dogs are pretty healthy! 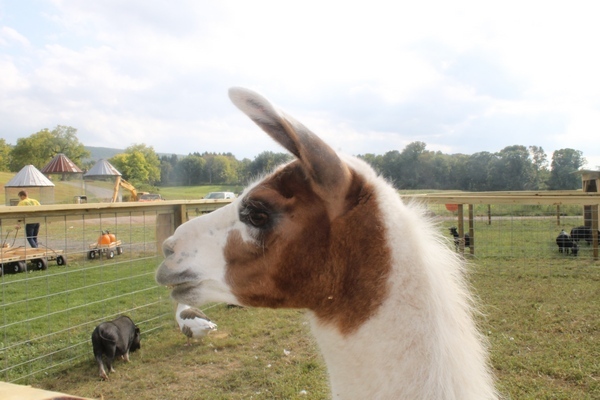 Anyway, rather than completely skip today, I thought I’d share some pictures from the pumpkin patch this weekend at Mazezilla, run by Klingel’s Farms in Saylorsburg PA. We didn’t do Mazeilla, but we did hang out doing some of their cool free attractions. Take a look! This isn’t sponsored or anything, I just wanted to share some fun pictures of our day. This is what the maze looks like from the sky this year. Every year they do a different theme. I’ve gone through them in the past and they’re a ton of fun. I suggest going at night if your kids are okay with it. It’s not spooky, unless you start making Children of the Corn references. This girl (or guy) is so pretty, don’t you think? She ignored me though because I didn’t have food. 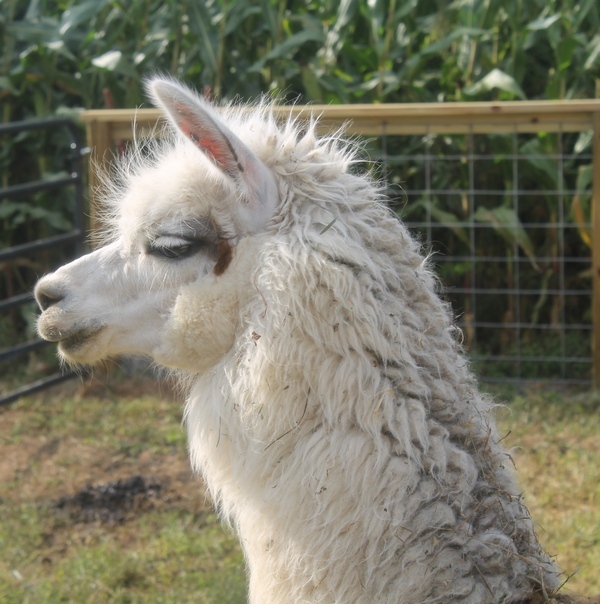 This llama was particularly snobbish when she discovered my camera wasn’t edible. She kept snubbing me! Then this happened! 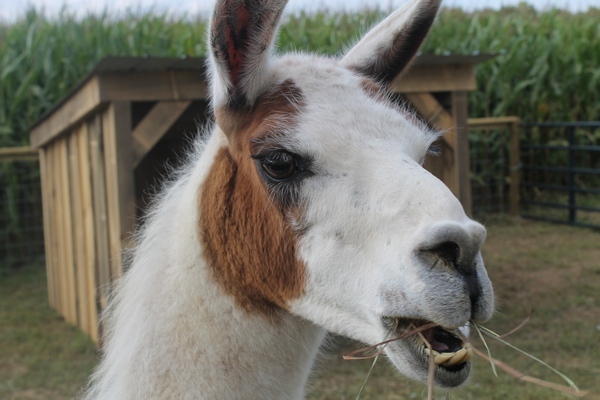 I think she was either asking “do I have something in my teeth?” or “Haven’t you ever seen a llama eat before? No, I guess you wouldn’t, since you didn’t bring any food, you CHEAPSKATE!! !” Like I said, she was a total snob! 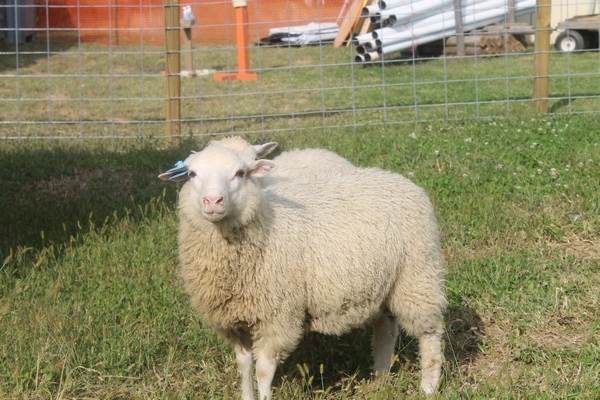 There are two sheep here, but the other one preferred not to be photographed apparently. It took a while to get them to turn around and look at me. They kept showing off their butts instead. She was doing something with her foot, like he was going to charge me! And of course, the boy! They have this huge area filled with dried corn to play in. It’s actually a lot more fun than it sounds. 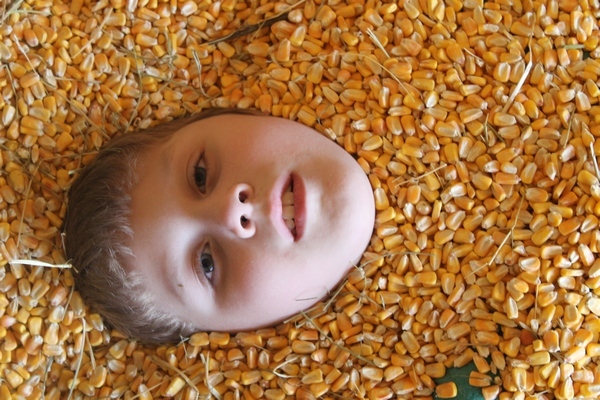 Jake likes to be buried in the corn. Let me tell you, that stuff gets EVERYWHERE! When we were done playing, we grabbed a few pumpkins, some fresh veggies and some delicious apple cider from the market up top and headed home. 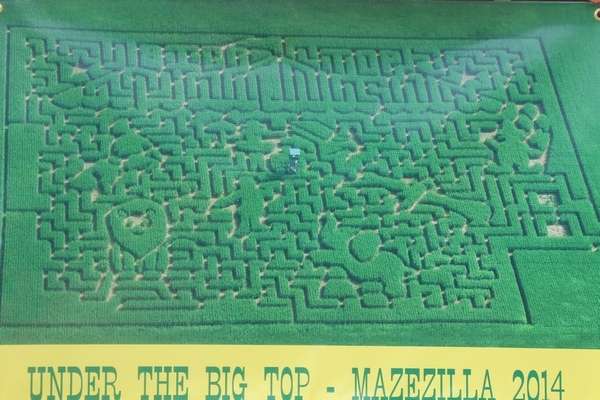 If you’re looking for something fun to do in the Poconos during the fall, there is plenty of fun to be had at Klingel’s Farm Mazezilla, even if you don’t do the maze itself. That corn maze looks incredible! I haven’t been to one before! What a blast! That’s the coolest corn maze I’ve ever seen! Thanks!! It is pretty awesome!